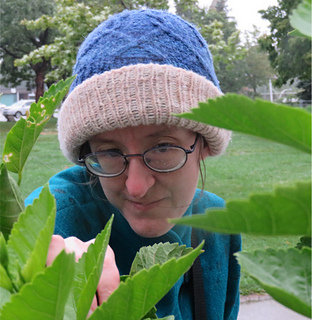 Please note, if you have purchased the matching Woodland Mittens previously, you can get the Woodland Hat at a discounted price of $4.50 CAD (which makes the total the same price as the e-book!) Discount should be automatic with the ‘Buy Now’ button. 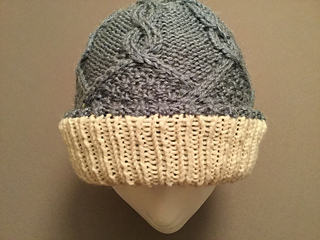 The design for this hat came about thanks to two things: first, the Ravelry Designer’s Challenge, based on a woodland theme, and second, my roommate needed a new hat! It’s the sister pattern to my Woodland Mittens. She wanted something that was thick and warm with a brim that could fold up over the ears. 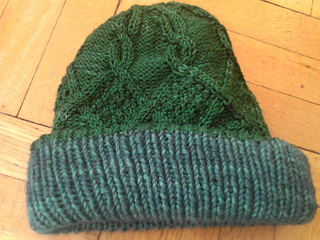 So, I started experimenting with different hat designs, but most of them didn’t seem warm enough. 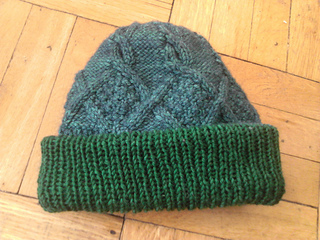 After trying various knitted linings, I came up with this idea. It’s thick, warm, and heavy enough to keep all but the worst of the winter winds out! 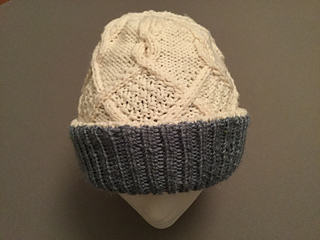 The result is a cabled hat knit in the round from the brim up, using a provisional cast on to create a double-layered, lined hat. It is completely reversible, so you don’t have to worry about which way you wear it! 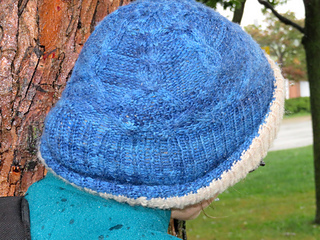 The yarn is Squoosh Fiber Arts Ultra Worsted. When looking for a substitute, the yarn should have a good bit of structure to it. Something multi-ply with a high wool content is recommended.